Thanks—looks like the Chrome extension is already installed! Thanks—looks like the Firefox add-on is already installed! Sorry! The extension is currently only available in Chrome and Firefox. What is TAKE YOUR MONEY ELSEWHERE? 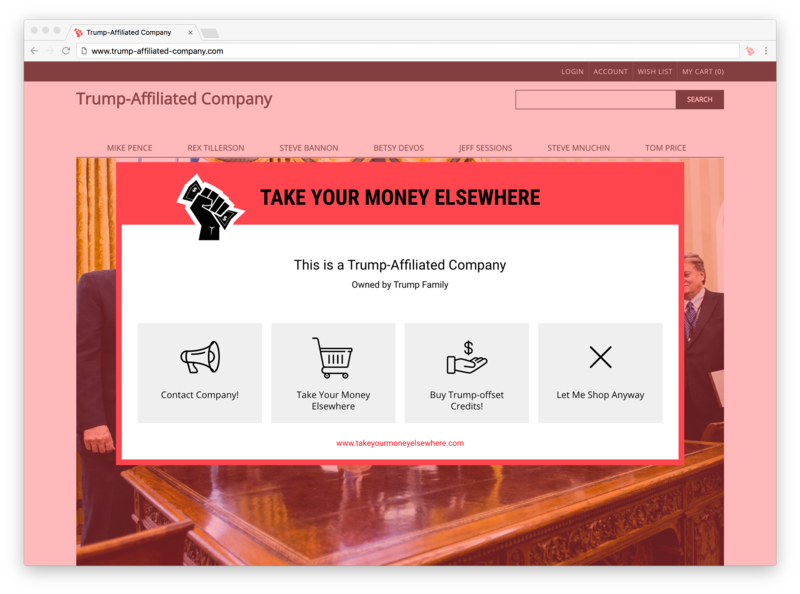 TAKE YOUR MONEY ELSEWHERE is a browser extension that helps you divest from Trump-affiliated brands. Inspired by the #GrabYourWallet movement. If you visit a Trump-affiliated site, the browser extension will let you know. You take your money elsewhere!